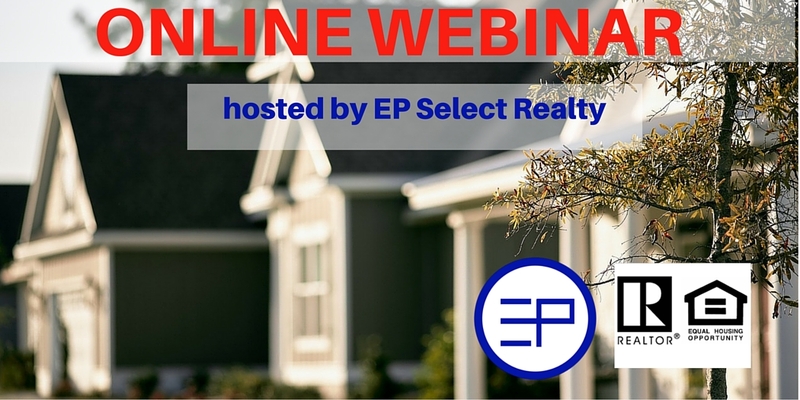 Join EP Select Realty to discuss the ins and outs of purchasing and financing a first home (including low down payment options), along with the opportunity to ask questions and learn how to start the home buying process. Learn how you can find great value in HUD homes, other REOs and much more! To sign up for webinar enter your name, email and phone number in the contact form. Webinar details will be emailed to you prior to webcast. The webinar is accessible by both the web and phone.